Lake Superior is the resting place of 350 ships, at least half of which lay undiscovered to this day. Throughout the years of the Industrial Revolution, the Great Lakes provided a key means of transportation for the valuable resources produced inland. Ships carrying iron ore, lumber, fish, and grain traversed these waters often, but when tumultuous weather hit, the results were often disastrous. 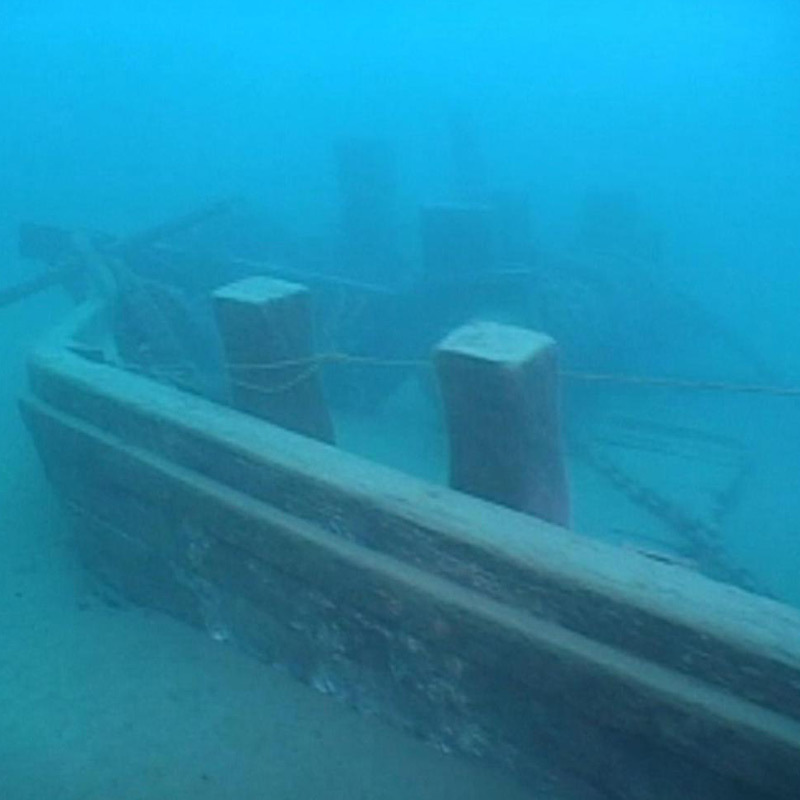 Of the estimated 10,000 shipwrecks in the Great Lakes region, only about 350 of them are located in Lake Superior. Of those, about 50 wrecks are presumed to be within Minnesota waters. 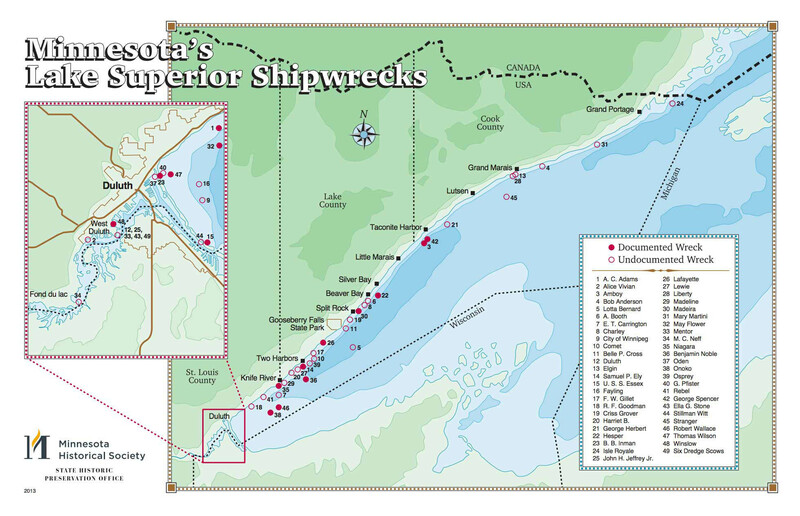 Most of Minnesota's shipwreck history can be found in Lake Superior. Many wrecks have been located, but at least half lay undiscovered. In an effort to aid in the safe navigation of the often-treacherous waters, the U.S. Lighthouse Service erected lighthouses in key locations throughout the Great Lakes region. Split Rock Lighthouse was built in response to the great winter gale of November 1905 that claimed 78 lives and disabled or destroyed 29 ships. The May Flower was a Great Lakes wooden scow schooner and the first shipwreck of this type documented in Minnesota's portion of Lake Superior. Built in 1887 in Sturgeon Bay, WI, the ship wrecked on June 2, 1891, while transporting sandstone blocks from Portage, MI, to Duluth. She capsized in heavy seas just four miles from the harbor entrance. As a two-masted scow schooner, the ship could sail on her own, but the available historical records indicate that she was towed by another steam-powered vessel. 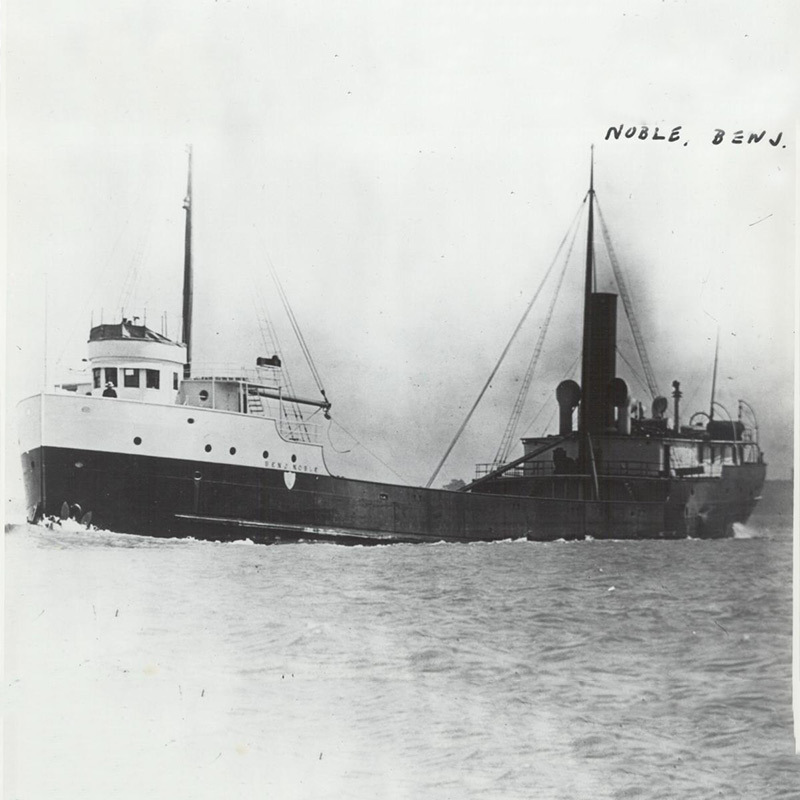 Investigations have revealed that the May Flower had construction features that are different from the few other scows known in the lower Great Lakes and are more similar to scows used in New Zealand. The remains were discovered in 1991 and retain significant archeological integrity, providing a wealth of information on the construction and use of scow schooners not only on Lake Superior, but throughout the rest of the Great Lakes as well. This single-decked, three-masted schooner barge was constructed at the J.P. Clark Shipyards near Detroit in 1869 and placed into Minnesota's iron ore trade as soon as it was fitted for sea. 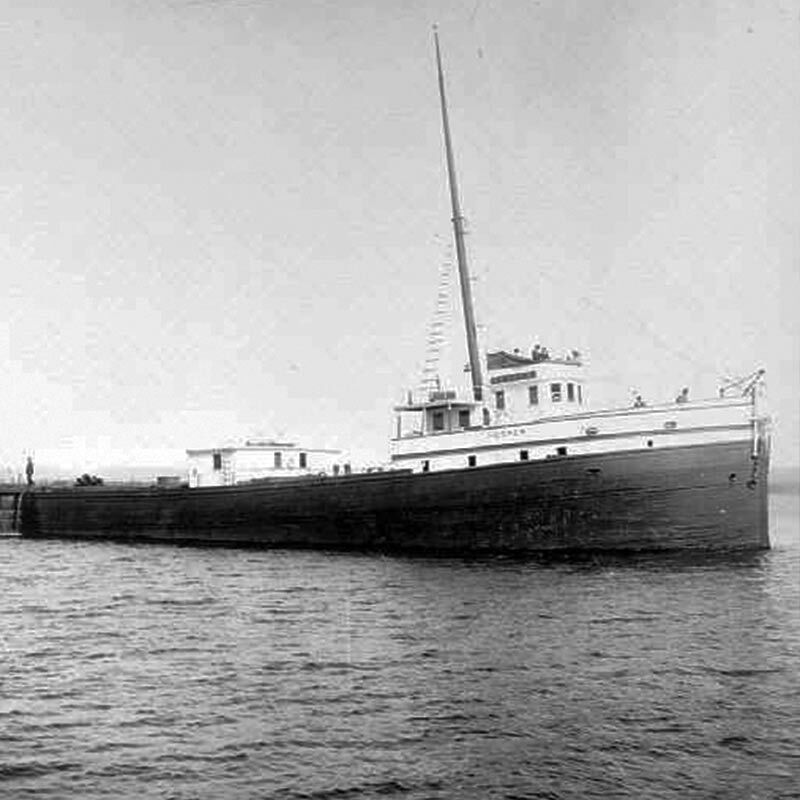 On Oct. 29, 1896, the Ely was caught in a violent gale and broke from a tug at Two Harbors, MN. The ship then blew across the harbor into the stone breakwater. The Ely's loss was witnessed by large numbers of the local inhabitants because of its very visible location and the long duration of the event. It involved several local citizens in the role of heroes; the stories have been told and retold for generations in the small community. While two significant areas of the hull suffered damage, the principal portion of the hull remains intact. This part of the vessel preserves the major characteristics of the 200-foot schooners designed during this time period. The Thomas Wilson was a riveted-steel, single propeller freight-carrying steamship, launched in 1892 from Lake Superior, WI. 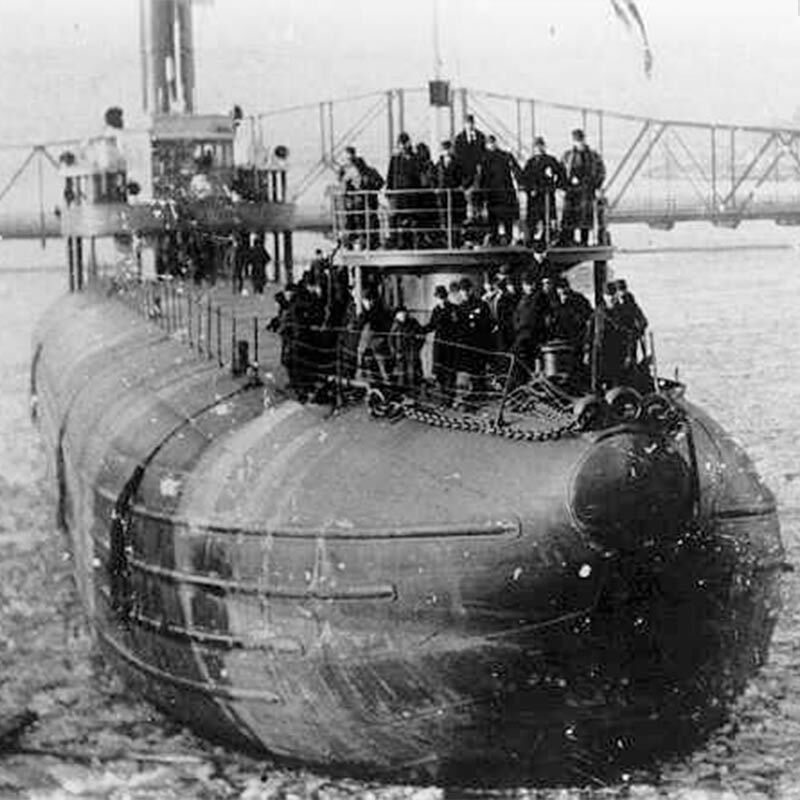 On June 7, 1902, the Wilson departed Duluth Harbor in clear weather; with the calm waters, the hatches were not yet ordered closed. Meanwhile, the 2,073-ton wooden steamer George Hadley was inbound. 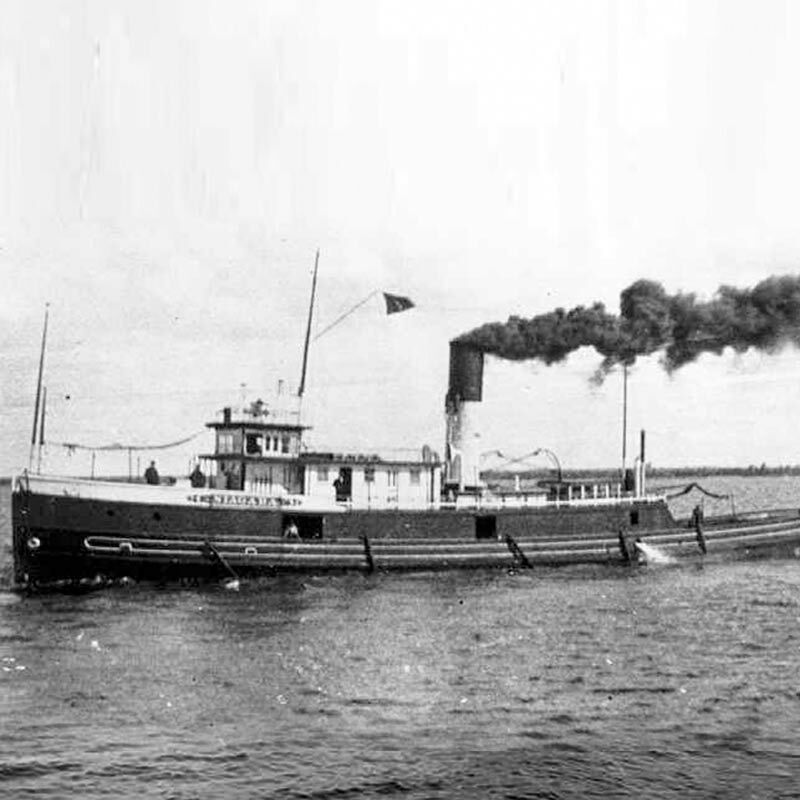 When a harbor tugboat directed the Hadley to divert to Superior harbor, the captain of the Hadley ordered an immediate turn to port, failing to notice the direction of the Wilson or to blow the required whistle signals. The captain of the Wilson, concerned about the movements of the Hadley but suspicious of running aground if he turned to port, ordered an immediate turn to starboard. The Hadley struck the Wilson just forward of the aft hatch and recoiled from the collision. The Wilson rolled over to port, then righted itself and began to sink by the bow. Within three minutes, the entire ship had sunk, drowning nine of the 20-man crew. As a result of this collision, more stringent rules were instituted in Duluth Harbor to prevent this from happening again. Read more about this wreck and the new harbor rules. The wreck of the Wilson is the best-known surviving example of the earliest whaleback steamships, a distinctive type of Great Lakes bulk freighter designed for the transportation of grain, iron ore, and lumber in the late 19th century. 20 years after the Robert Wallace was built, the wooden bulk carrier sank while hauling a cargo of iron ore out of Superior, WI. She is a rare example of a vessel type that linked Minnesota's Iron Range with manufacturing centers in the eastern United States. The remains were not found until September 2006, 235 feet below Lake Superior's surface. Underwater archeologists discovered many well-preserved artifacts, including a bronze bell still attached to a wooden rail and engraved with the ship's name. The hull is separated along the stem but the two sides remain relatively intact, as is most of the stern. Additionally, the partially broken bow allowed a more thorough examination of nearly all hull construction features than is normally possible at other shipwreck sites. Built in 1872 in Detroit, the Niagara is an early example of a class of large "outside" tugboats developed for use in the Great Lakes logging industry. The evening of June 4, 1904 marked the loss of the ship at Knife Island. Coming from Duluth, the Niagara was caught in heavy seas while battling a malfunctioning compass. While it crashed into the rocks along the island's shoreline, the 11 crewmen and two passengers on board were rescued just before the ship began to break apart. Today, the remains of the Niagara rest on a rocky slope of Knife Island. The wreckage is broken into four main sections: the stem, the starboard side and keel, a detached section of starboard rail and the port side. 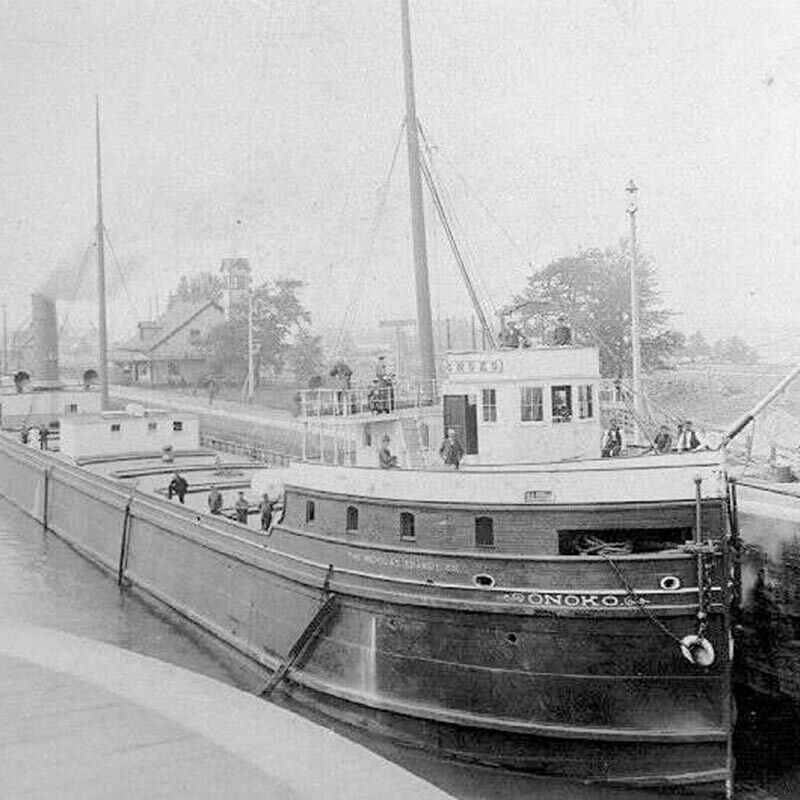 A wooden-hulled, bulk-freighter steamship, the Hesper played a significant role in the Great Lakes iron ore industry and the grain trade. 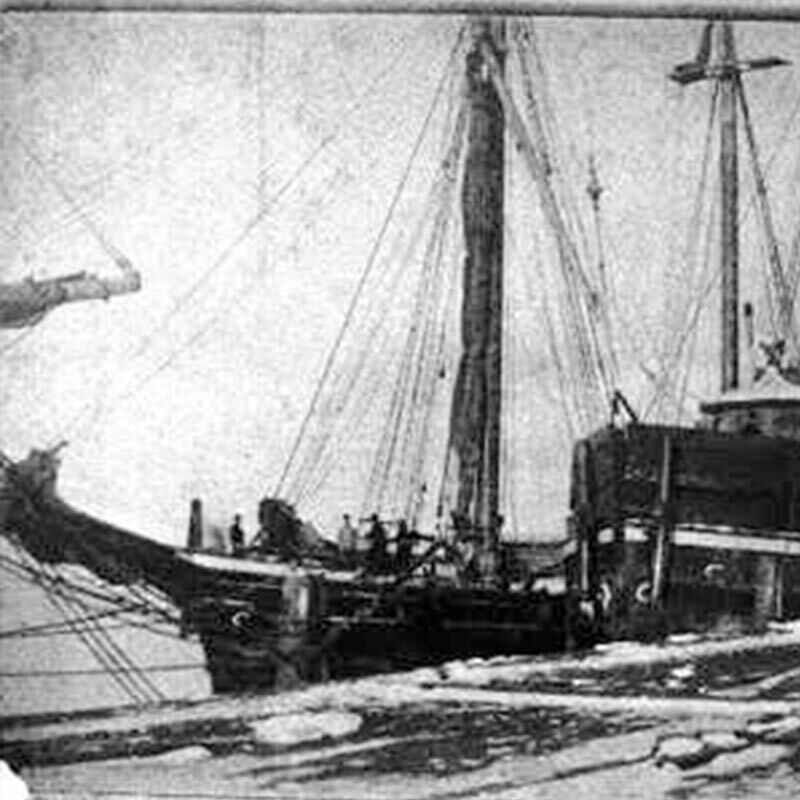 On May 3, 1905, the ship was caught in a late spring snowstorm, a phenomenon hardly unknown to Minnesotans. The 60-mile-an-hour northeaster drove the steamship well off its intended course and hurled the vessel onto a reef, which now marks the southwest edge of Silver Bay Harbor. After enduring a pounding for some time, the Hesper was lifted over the reef by a giant wave, only to founder and break up in 42 feet of water. The 15-man crew, along with Captain E.H. Heaton, were able to launch two lifeboats and pull away moments before the ship broke into pieces. The wreck has remained well preserved in the waters of Silver Bay Harbor. Originally named the Helena, the Amboy was a single-decked, wooden-hulled, full-rigged three-masted schooner constructed especially for Minnesota's iron ore trade. While being towed by the steamer George Spencer, both ships fell victim to the notorious Mataafa Storm of Taconite Harbor on November 28, 1905 while en route to Duluth. "Both boats lost their bearings in the snowstorm and landed on a sandy beach. As soon as they struck, buoys with lines were thrown over the side. When they floated ashore they were caught by fishermen and made fast. With an improvised life buoy rigged in the hawsers the entire crew were taken safely to shore preceded by Mrs. Harry Lawe, wife of the mate, who was acting as steward. The vessels ran on the rocks Tuesday morning, and for thirteen hours the situation of the crew on the battered hulks was desperate. Fishermen rushed into the surf almost to their necks and aided the sailors to escape. The Spencer's cargo can be lightered but there is little hope for saving the boat. The vessels were coming up without cargo to load ore. Capt. Frank Conland sailed the Spencer and Fred Watson was master of the Amboy." The remains of the Amboy are on the shore of Lake Superior. Built in 1884, this wooden bulk freighter went down with the Amboy. It remained slightly more intact than its counterpart, and still lies at the site of the wreck, just off the beach and approximately one mile from Sugar Loaf Cove. 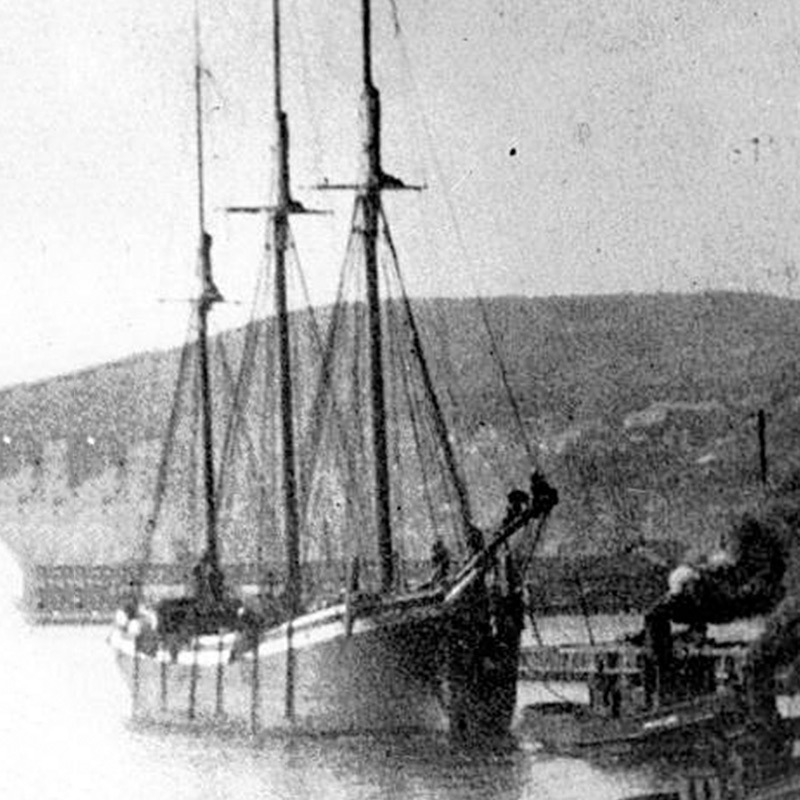 The Madeira was an unpowered schooner-barge normally towed behind a steamship, a common practice that cut the cost of transporting bulk cargoes of iron ore, lumber and grain. Another victim of the infamous storm of November 1905, she sank on November 28 around 3 am. After drifting from the William Edenborn, the helpless Madeira crashed into the shores of Gold Rock and began breaking up. As a result of Seaman Fred Benson's heroic acts, all but one member of the crew were saved. This shipwreck is historically significant as the best and one of the few known surviving examples of a schooner-barge. Though it did break into numerous pieces, the major diagnostic elements of the hull are relatively intact. The steel bulk freight steamer was built in Michigan in 1909. The last voyage of the Benjamin Noble began ominously with the words of warning from the customs officer to Captain Eisenhardt: "I should not like to ride with you, you are over-loaded." 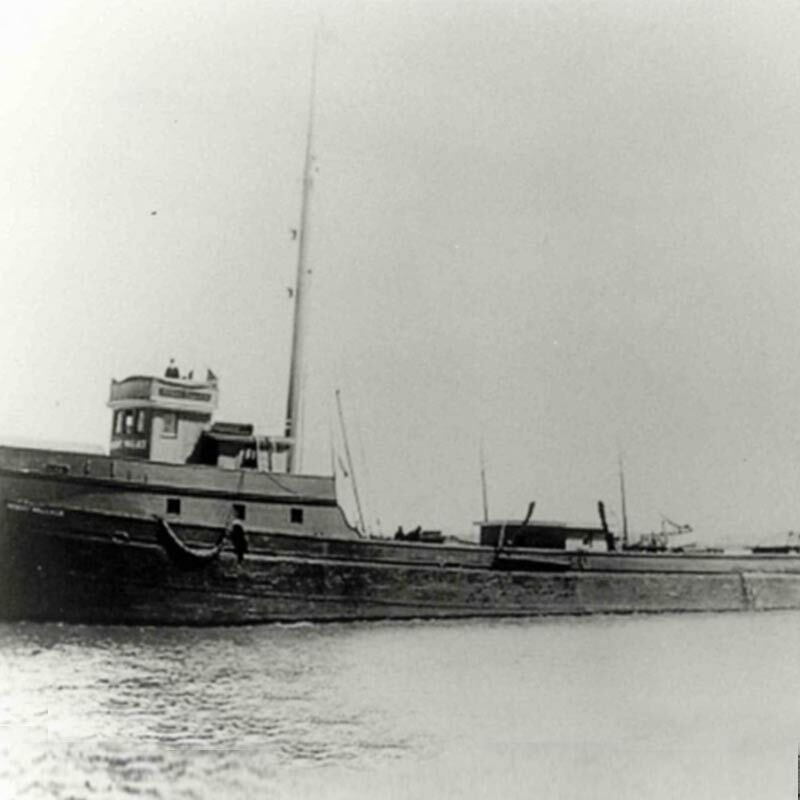 Dangerously full with steel rails, she came west through the Great Lakes from Ohio and disappeared in a severe storm off Knife Island on April 27, 1914. All hands were lost. Ironically, the ship had been specifically designed to withstand heavy weather. In 2004, she was found 365 feet down and approximately eight miles off of Knife Island. Having hit the bottom hard, part of the vessel is buried beneath a trench it created upon impact. However, most of the ship remains intact and undisturbed, including equipment such as cargo, lifeboats and a bell. 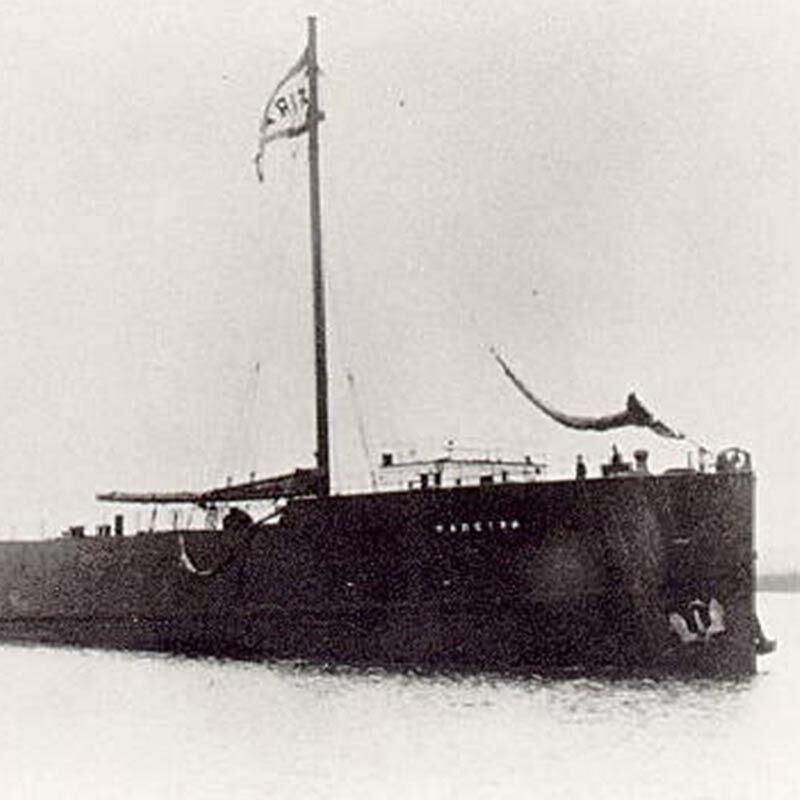 Launched from Cleveland in 1882, the steamer Onoko was the first iron-hulled, iron-screw steam freighter on the Great Lakes. 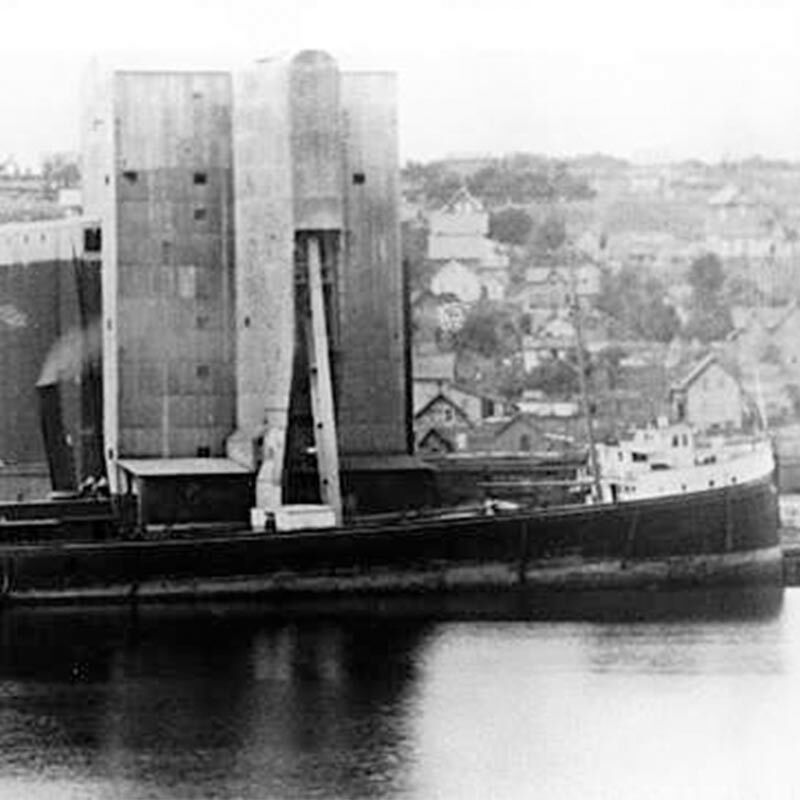 Due to its economic success it became the prototype for the Great Lakes bulk freighter, a very large and important class of commercial ship that made possible the cheap transport of raw materials for the steel industry, including iron ore, coal and limestone. On September 15, just 25 miles out of Duluth and carrying 110,000 bushels of wheat, the Onoko developed a serious leak under its machinery. In 35 minutes, it had sunk in 220 feet of water. The crew of 16 and one passenger escaped safely in the ship’s lifeboats, and were quickly picked up by the Standard Oil steamer Renown and taken to Duluth. Because the ship is almost entirely unchanged, intact, and undisturbed, it continues to provide valuable shipbuilding technology information, evaluative data about the performance of pioneer iron ships, and insights into the requirements of manning ships in the late 19th century. The USS Essex was an armed naval sloop built between 1874 and 1876 at East Boston, MA, by Donald McKay. Famous for his clipper ships, McKay was one of the most prominent shipbuilders in this nation's history. The wreck is historically significant as the last remaining known example of a Donald McKay vessel. 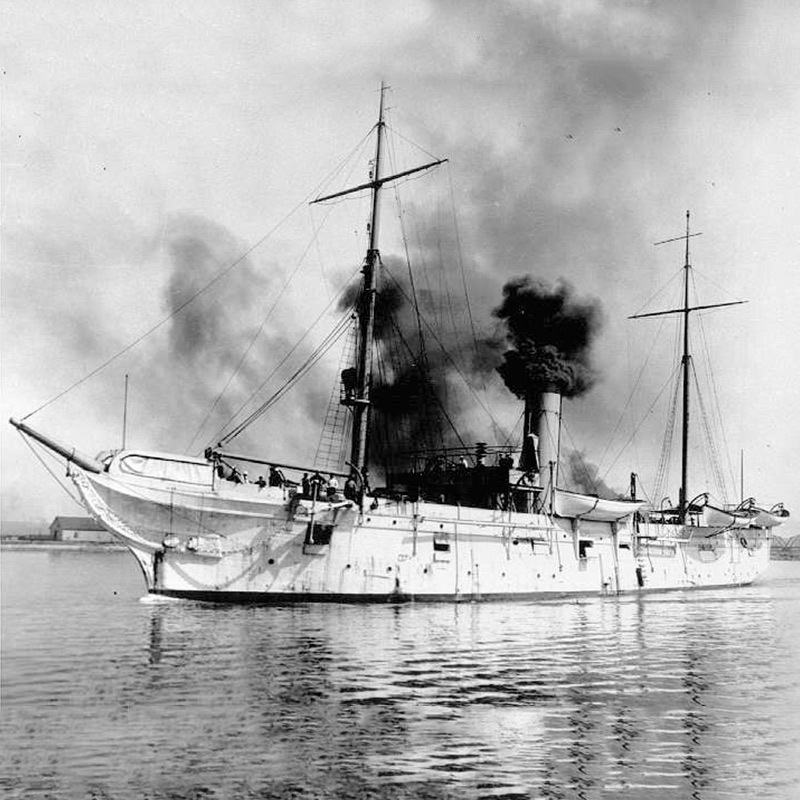 The Essex served the U.S. Navy from 1876 to 1903. In 1904 it was employed for training duties with the Toledo Naval Militia until 1927, when it was transferred to the Naval Reserve of the State of Minnesota. The Essex served Minnesotans for only three years before being stricken from the Navy list on October 27, 1930. The Essex's sale for scrapping on December 23 marked the loss of the oldest steam-powered vessel on the Navy list. The ship was taken to the beach outside Duluth harbor and burned on October 14, 1931. Although not in Minnesota waters, the sinking of the SS Edmund Fitzgerald is commemorated at Split Rock Lighthouse as a symbol of the lives lost from all Great Lakes shipwrecks. 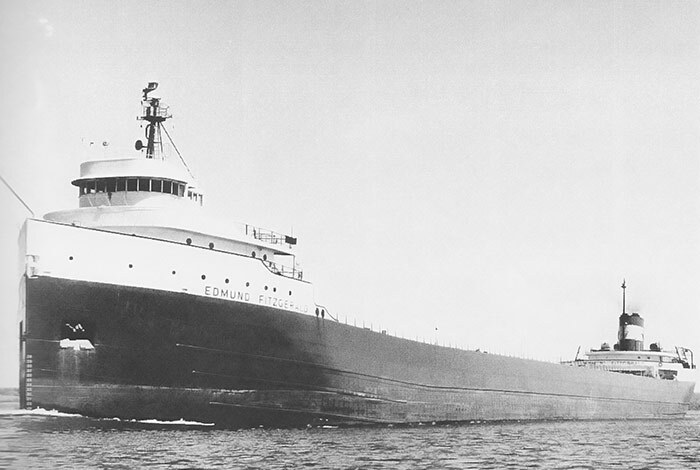 When launched on June 8, 1958, the Fitzgerald was the largest ship on North America's Great Lakes, and is the largest ship to have sunk there. The freighter went down in a storm on November 10, 1975, taking with her the entire crew of 29. Each year on Nov. 10, the beacon is lit at Split Rock Lighthouse in honor of the crew who were lost at sea.